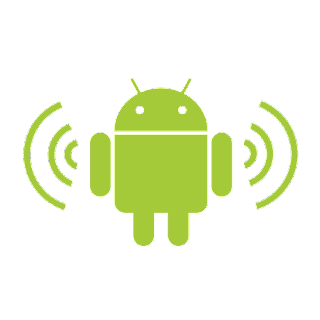 We have just made this "1-Click WiFi Tether No Root" application, which allows you to transform your Android phone into a wireless hotspot. 1. It easily and quickly enables WiFi Tethering hotspot AP in 1-Click. 2. It does NOT require root access. 3. 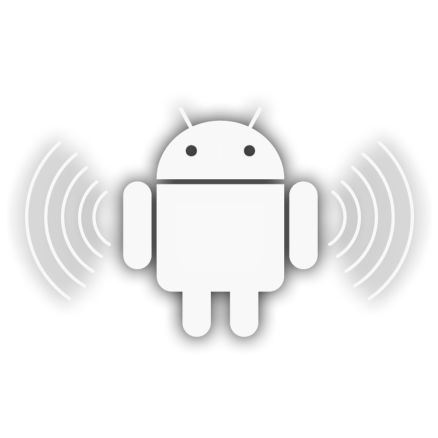 It works on MOST devices with Android 2.3 or above, with MOST operators. 4. If Wi-Fi tethering is not yet possibile with your device because of some device or carrier restrictions, we have prepared USB or bluetooth tethering as your alternative choices. 5 stars for first try! So simple, literally 1-click. Best! Perfect! Really glad it's so small too! Application works great but could you please fix it so I can save my own ssid when ever I restart. Ssid goes back to default whenever application is restarted. I was looking for a way to overwrite the config of WiFi tether, and I found your very useful code! I'm using a LG's smartphone, and it has a bug which makes WiFi tethering not working(ex. when too long SSID is entered). To fix the problem, setting must be reconfigured, but the setting window only appears when tethering is ON(what a strange!). So, I had to overwrite config from external app. Thank you very much for your code and apk! Hi fandroid, try to replace "http" by "https" to see whether that works, also try using another Android phone or a PC. If it doesn't work on neither of these terminals, it's possible that your carrier of your SIM card doesn't allow you to use tethering on their network. 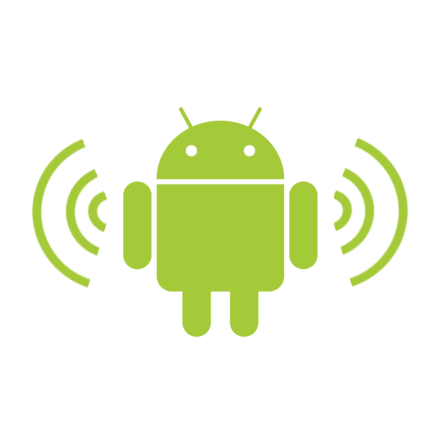 What this application does is just to start the standard hotspot inside your Android device, it doesn't deal with data connection with the carrier. It depends on your data plan and the contract with your carrier. But if you do want to "illegally" get tethering, you can always root your phone and try those tethering apps with root. When i deleted the app it still shows under tethering. How do i fully get rid of it? With the use of this app, am i going going to have to pay for the carrier wifi hotspot, does it detect that I am using it. Or does the phone not even know that the phone created a hotspot? If it works yes, If it does not then no. Sometimes an app has to be forced closed to shut off, like the tethering apps for example. Does this app make you have to pay for using the 3G hot spot? I have Verizon and i think you have to pay monthly to use the hot spot thing..
Oook its been two hours no icon ? Is there any way to fix the number of hosts? Thank you! PS: only one note, as you set the displayInstructions as in html, the "\n" does not appear, it should be "
" instead :D. Yes, it was only that, the other thing is excellent. PS: only one note, as you set the displayInstructions as in html, the "\n" does not appear, it should be "< br >" instead :D. Yes, it was only that, the other thing is excellent. Very, useful. Has anybody worked out how to set the RF channel, number of allowed hosts e.t.c of the Hotspot? The app works fine but when trying to go the settings to configure security it gives you a message that it cannot reach the settings and you have to force to close and I did purchase pro. I tried to generate an WPA2-PSK AP with success (CCMP only), but when trying to configure another phone for connecting to the AP, it doesn't work for me to make a WifiConfiguration and establish through WPA2 directly. I must have WPA also available, and first they establish through WPA. Then once established, I can change to WPA2 in the AP and then it works. Have you any idea of what could happen? It is my fault or Android one? Ty in advance. hi, thanks for sharing the idea. But can you please tell me how to activate WAP2 security in this Hotspot. And also I need to get the names of client connected to my hotspot so that I can block them If I need. Any help ..
Hi everyone! I've tried soo many apps to get wifi on my pc, but nothing works for me! Please help! I really need wifi hotspot, but I just don't know what app to install. Thanks!!! How to enable WiFi direct programmatic? Is there any solution for the same like this? Works fine on Samsung Nexus S.
Just had to add the uses-permission android.permission.CHANGE_WIFI_STATE at the manifest file. nice tut, made it work so far that the hotspot is created, but i can't change any setting, neither the ssid nor the encryption. I'm testing on android 2.3.5 htc desire s.
not a hot spot I already have that as well as a tethering app but like mine it doesn't do anything different! Hi. 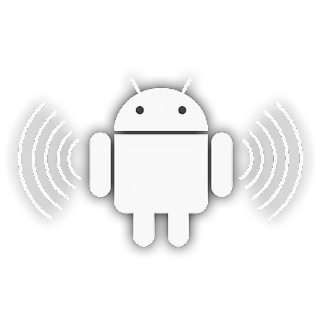 I was wondering what happened to the section of this post where it talked about a function similar wifip2pmanager (WiFiAPManager I think was the name of the function) which was hidden within the SDK before Android 4.0 was released. I remembered that there was code posted for reference. Could I still read about it somewhere else? My daughter recently upgraded her HTC Sensation to Icecream Sandwich. Now One touch wifi teathering app does not work. Would you have a suggestion? I downloaded this on my AT&T Galaxy Note and it worked great for about a week and a half. Now it seems that even though I am connected to the hotspot I am not able to do anything like surfing on the web. I was going to buy the pro version but wanted to know if my problem comes from your app or from AT&T? Pro version worked great until I took an ATT update this morning on my Samsung GS3 :( Now, app just looks at me and never launches into the status bar. My HTC Desire Z's wifi hotspot works but I cannot change settings (e.g., password, SSID or WPA). Michael Klingen above seems to have the same problem. I bought a very expensive bluetooth called Silver elete, it is supposed to reach 300 feet, but it needs NFC on my Samsug Statosphere cell phone, how do I get this to work for me? Doesn't work on Verizon S4 after update to MJ7 Can you fix this? I have the pro version and was working great until I updated my S3 with AT&T 4.3 OTA update. Now WiFi runs home to verify hotspot and it shuts 1-Click Tether down. Now I'm out of WiFi hotspot service. Any ideas on what I can do? As of December 20th, 2013, after installing the stupid Verizon 4.3 update, the app no longer works on my Samsung Galaxy S3. I wish I had read this page prior to installing. Would I still be able to use this app with Bluetooth or USB tethering if not via 1 Click tether app? Any quick solutions? I have the pro version but haven't had to use it in a while because we got wifi at home. I am needing to use it now for access on my galaxy tab 3 at work but I have forgotten my password. Can someone please help me figure out how to get or reset my password? I downloaded the free version onto a S4 mini and every time I start it up I get disconnected from the Sprint network. The diy network shows up on my other devices, but obviously can't connect. can somebody share the source code on git / any other repository please?